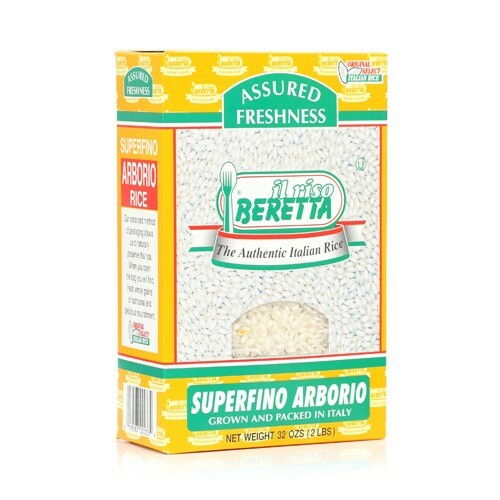 Known for its ability to create a creamy and lush flavor when cooked, Arborio Rice is the typical rice used in risotto. Il Riso Beretta assures absolute quality by developing new technologies to maintain the excellent nutritional properties of the rice. Beretta has researched and tested methods that assure the same freshness at the point of consumption that is available at harvest. There is absolutely no preservatives or additives, yet the shelf-life of this product is long lasting.